*Author: Kawauchi, Akio *Publication Date: 2011/09/27 *Number of Pages: 420 *Binding Type: Paperback *Language: English *Depth: 0.90 *Width: 6.00 *Height: 9.00. With over thousands of new, unique products in inventory, UnbeatableSale.com is sure to have what you want today. 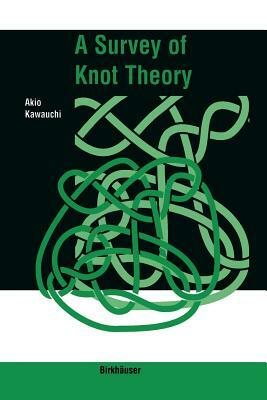 This A Survey Of Knot Theory By Kawauchi, Akio is of the highest quality. Our everyday marked-down price is $143.45, $7.17 less than the retail price you'd pay at most stores. Can't decide? UnbeatableSale.com gift certificates are always just right! At UnbeatableSale.com we are committed to protecting the privacy of our customers and using personal information responsibly.